What makes humans unique? On April 8, 2011 a panel of ten geneticists and anthropologists from a variety of institutions around the country presented the newest findings about the human genome in an attempt to answer this question. 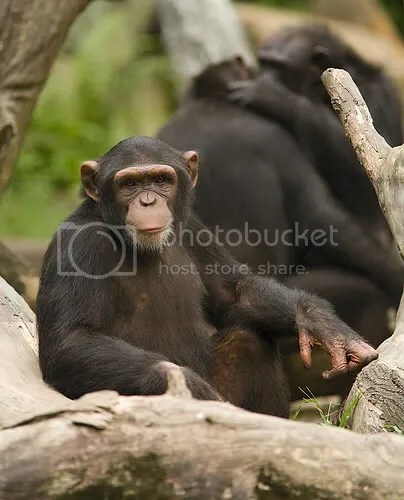 From a genetic standpoint humans are separated from our closest relatives in the animal kingdom, chimpanzees, by merely 35 million nucleotide differences, 5 million insertions and deletions, and 9 pericentric inversions. The symposium covered topics ranging from new discoveries in the genomes of the great apes, to a comparison of immune response pathways in humans. Dr. Katherine Pollard of UC San Francisco spoke about newly detected regions in the human genome that seem to be mutating faster than others known as Human Accelerated Regions (HARs). One such segment, known as HAR1, controls some aspects of the development of the cerebral cortex, although more research must be done to determine specifically what that means. Although we share as much as 96 percent of our genes with primates, there are huge differences in the ways in which these genes are expressed. Dr. James Noonan of Yale University spoke about his research in human gene regulation, which is the process in which genes are activated and deactivated. He articulated that it is not simply genes that dictate the outcome of the human or primate brain, but the way in which genes are activated, regulated, and expressed that gives humans such advanced cognitive ability and brain complexity. PROSPECT: How has your research changed the way we understand the evolution of human ancestry and our perception of the human genome? POLLARD: One important thing is that genome sequences, at least for me, have made us realize how similar we [humans] are to chimpanzees and other great apes and a lot of the talks today focused on differences and what makes us unique. That is of course the exciting and interesting part. But from a perspective of our role in the world, humans are just another animal, just another ape, and in fact at the DNA level we are really not that different from our closest relatives on the tree of life. I think that is sort of humbling and an important perspective to have on our role. NOONAN: I agree with that. We are not exceptional in the way that we have historically thought of ourselves. But I think it is important to keep in mind that we are unique in the sense that every currently living organism is unique, that any species is unique, that we have our own particular features. Although we have a lot in common with many other species, there are some things that we can do, like have this conversation, for instance, that other species are not doing. I think that having access to all these genome sequences has enabled us to start to drill down and understand in a really scientifically rigorous way why that is. What happened in our evolutionary history, at a genetic level, that does make us unique? Can we break that down to a systematic level—that genes, what changes in gene expression and those sorts of mechanisms—how do those occur? That would not be at all possible without genome sequences and the ability to compare genome sequences. PROSPECT: Has the human genome changed since the emergence of modern humans? How have accelerated regions (HARs) or gene regulation within the human genome changed us as a species? POLLARD: When you look back further in human evolution and compare a human with a Neanderthal or even further back to the human chimp ancestor there has been more change but it is just a gradation. It has not stopped: it is continuing to happen and we can see it even just looking at humans now. NOONAN: In fact, you can see differences in families. One of the strengths of the next-generation sequencing technology (NGS) that some people mentioned in the symposium is that you can actually sequence whole genomes of individuals. So you could sequence your genome, and you could sequence your parents’ genomes, and you can compare those sequences and find mutations that are only in you that your parents do not share. This is really the engine of evolutionary change. You probably have by some estimates about 70 mutations that are only in you. That does not mean they do not show up in other people by coincidence, but they are unique to you. This is a continuous process of evolution. We have not stopped evolving. PROSPECT: It seems as though within the past few centuries the human capacity for innovation, technological advancement, and conceptual thought has accelerated far more rapidly than it had previously, despite the fact that there have been few changes to the human genome since the first behaviorally modern Homo sapiens appeared. If not caused by genetics, how can this phenomenon be explained? NOONAN: Well, you were not born learning how to read. It is a cultural phenomenon. Although it is an intriguing question, isn’t it? If you could take an early modern human from 100,000 years ago as an infant and place him into today’s world, would he actually behave as a modern human if he was raised in this kind of environment? I think the answer is probably yes. But it is unlikely that the industrial revolution is a result of genetics. POLLARD: Exactly as Jim said, when you are born one of the most important things you get from your parents is your DNA, but you also learn culture and behavior and other things from them, so it is not just your genetics. In the same way DNA gets passed down as evolutionary changes over time, so does culture. That is what geneticists call an epigenetic effect, something that is outside of the DNA that our genetic techniques do not measure. But that is also evolving much more rapidly than our genome is. NOONAN: It is important when we think about the genetic base of human biology to make sure we are not being too reductionist. As scientists we want to reduce things down to easily digestible and study-able parts. That is a very powerful way to do science, but human behavior, [like] your personality, is not strictly genetically determined. What we were talking about today, things like brain development, or morphology, or immune response, those are the sorts of things in which genetics will have the most power to tell. We do not want to give the impression that there are specific changes in the genome that dictate how you actually behave. POLLARD: You raise an interesting point about the rate of cultural versus genetic evolution. Something I am really interested in is that our biology, all these fundamental things that Jim was just talking about, evolved in a world that is really different than the world we live in today. There is a school of thought that I think is really intriguing that a lot of human diseases, for example, arise from a mismatch between our biology and our environment and our culture, etc. So although we are living with this mostly ancient body that is sort of slowly adapting over long periods of time, culture is evolving really rapidly and even changed our physical environment, like exposure to toxins. NOONAN: [Things like] heart disease, diet and obesity evolved in a world where food was hard to come by prior to agriculture. Things like agriculture and food abundance are relatively recent phenomena in human history. So our bodies really adapted to, some would argue, a feast or famine sort of lifestyle. You eat, then you don’t eat for a while, then you eat again. If you can tolerate that, you’re going to make it. You will pass on your genes and your kids will have the same basic traits. We do not live that way anymore. We are surrounded by food, especially in the last hundred years or so. It is not surprising that you see these sorts of diseases arise that we are really not adapted to deal with. PROSPECT: What predict for the future of research in human genetics? NOONAN: If you are talking about technology, everyone will have his or her genome sequenced, because that is going to be virtually cost free in the near future. In terms of understanding human differences relative to other species, certainly understanding the origins of human diseases [will increase]. I am particularly interested in neuropsychiatric diseases in that regard. I cannot speak to this, not being an expert, but I doubt there are schizophrenic chimps while there are [certainly] schizophrenic humans. So understanding what makes a human brain different than a chimpanzee brain where these sorts of phenotypes, these traits, these diseases can emerge, will allow us to understand the genetic base. POLLARD: Things that we take for granted, like that we can sequence our genomes, were not true a few years ago. So who knows what will be possible five years from now, what will be developed technologically? I predict it will just continue to accelerate. The amount of data we can collect, the comparisons we can do on a computer, and soon these incredibly powerful things, will just be common practice. I would like to know why they can spin the x and y chromosone and get a boy or girl baby but in my case I am missing a chromosone and wondered why they can not add one so that I could reproduce a normal baby? Can you answer that? Is there any prospects of doing this?